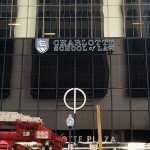 RP Signs was selected to fabricate and install all exterior signage for the Charlotte School of Law’s new location in the Charlotte Plaza Building. There was a great level of detail involved as each sign had to be engineered because of the different mounting situations. 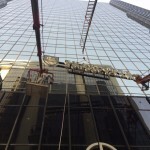 The sign on the glass elevation needed to be fabricated to attach to the glass curtain wall of the building utilizing the existing structural window system. The sign mounted on the parking deck also required the same attention to detail including a scan of the parking deck wall to locate all structural rebar and Prestressed cables. 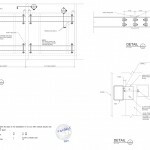 We partnered with the local firm, GPRS to work with us on this portion of the project. 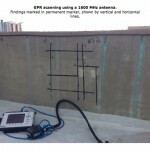 GPRS recommended the use of a 1600 Mghz antenna to locate all components built into the walls and marked all areas near the mounting points of our signage. 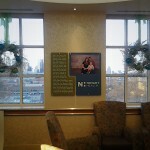 In December, RP Signs was proud to partner with Novant Health Foundation at Presbyterian Medical Center to provide signage for Tucker’s Room, a special waiting area for parents of premature babies. 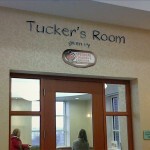 You can read more about the space and about Tucker’s story here and see pictures of our signs below.